Robo-advice pioneer Wealthfront has scored a partnership with tax preparation giant Intuit, WealthManagement.com writes. Users of Intuit’s TurboTax and Mint platforms will now be able to pre-fill account opening documents for Wealthfront from their tax preparation documents, which the company claims in a statement can cut in half the number of fields new clients must fill out manually. Wealthfront says the partnership will help make its investment advice “more personalized,” although a spokesperson for the firm declined comment to WealthManagement.com on how Wealthfront users could benefit after the account opening, other than saying that there will be more news coming shortly. The partnership could be part of a broader plan that Wealthfront CEO Andy Rachleff said he sees for the company, according to the web publication. Earlier this year, Rachleff said he wants the firm to automate other services in addition to investment advice, such as paying bills. 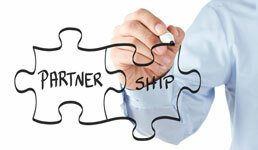 Rachleff also called the partnership with Intuit a “dream come true,” according to WealthManagement.com. “Integrating with TurboTax data that customers agree to provide will allow Wealthfront to continue to raise the bar on what it means to deliver accessible, convenient and deeply personalized financial planning,” he said in a statement. To read the Wealth Management article cited in this story, click here.